Dr. Aparna Chandrasekaran is a board certified medical examiner who is qualified to perform the commercial driver fitness determination examinations as per Federal Motor Carrier Safety Administration Guidelines. 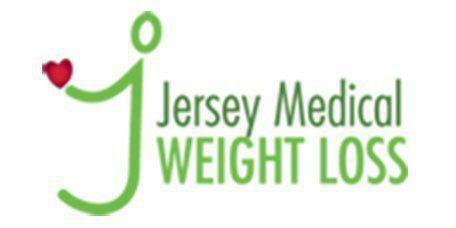 At Jersey Medical Weight Loss Center in the Somerset, New Jersey area, the doctor and her staff are trained to perform a comprehensive drivers fitness examination to make sure that a commercial driver is fit to drive safely. Dr. Chandrasekaran encourages patients who are in need of these type of examinations to contact her office to schedule an appointment for the DOT medical examination. Can anyone be a medical examiner? In order to become a certified medical examiner for the commercial driver's license (CDL), a doctor must meet certain criteria put in place by the Department of Transportation (DOT). They must be well-versed in DOT guidelines and what will prevent a driver from performing their duties.The doctor must also comply the requirements put in place by the licensing agency. To complete the medical examination, the doctor must complete the fitness determination forms in detail concerning any health conditions that may be present. Once the exam is finished and the forms completed, the paperwork must be sent to the DOT so the driver can resume their duties. As a licensed medical examiner, Dr. Chandrasekaran is able to perform examinations for both employment and insurance purposes. What health conditions will Dr. Chandrasekaran look for during a commercial driver fitness determination examination? Dr. Chandrasekaran will look for any health condition that could possibly impair the driver, either physically or mentally, and prevent them from completing the requirements associated with their job description. The driver must be physically strong enough to maintain and operate the machinery he’s assigned to, whether it be a piece of construction equipment or a semi-tractor trailer. If it’s discovered that an applicant has a health condition that may affect their driving, they’ll be given a specific amount of time to have the condition treated. Once the condition has been sufficiently treated and cleared, they may apply to have another examination. If a driver fails an examination, can they retake it at a later date? If Dr. Chandrasekaran performs the fitness determination examination and the driver fails, she’ll follow the guidelines set forth by the Federal Motor Carrier Safety Administration to determine if and when the driver can retake the test. Aside from that, she can also offer specific treatments to help the driver regain their health and meet the exam’s demands.